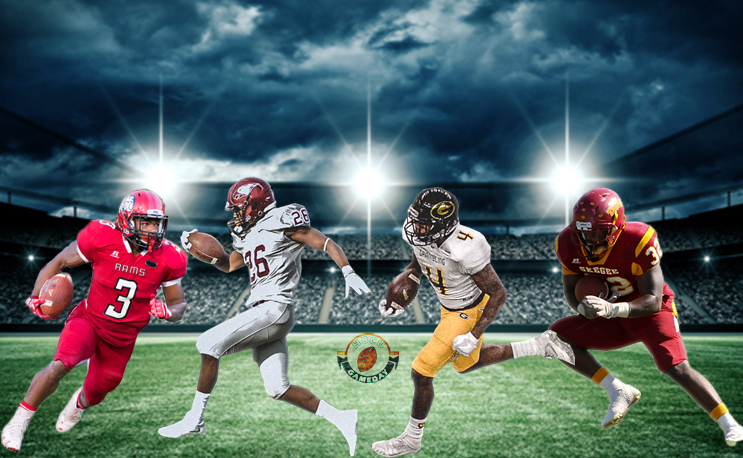 The 2017 football season is rapidly approaching, and every team from top to bottom is looking to figure out how they can get better. For those teams at the top, though, there is usually more room to go down than up. So we posed the question on twitter: Which HBCU football powerhouse is most likely to fall off the fall. Which HBCU football team will fall off the most this year? Grambling had one of the best seasons in recent program history in 2016, going 10-1, winning the SWAC title and the Celebration Bowl. GSU was one bad quarter against an FBS team away from going undefeated. They do have key playmakers DeVante Kincade and Martez Carter returning, but the G-Men also lost several key players on their highly underrated defense and two big time pass catchers in Chad Williams and Verlon Hunter. North Carolina Central is coming off a third-straight MEAC title in 2016, including a perfect 8-0 conference record. It’s been a remarkable three year run under Jerry Mack, as they’ve won 21 of 24 conference games during that stretch. They’ll look to continue that success again, but will have to do it without quarterback Malcolm Bell, center Carl Jones, defensive back Mike Jones and several other key players. Tuskegee didn’t win the SIAC last season, but did manage to win a NCAA Division II playoff game in 2016. That was the second season in a row in which they accomplished that feat. If they are going to make it three in a row, however, the program will have to compensate for the loss of its dynamic passing duo of quarterback Kevin Lacey and reciever Desmond Reece. They do, however, have an All-American linebacker in O.J. Thompson and some talented young playmakers on offense. Winston-Salem State clinched back-to-back CIAA titles for the second time in the last six years in 2016, going 9-3 and making an appearance in the NCAA Divison II playoffs. Unlike recent versions of WSSU football, the 2016 team was a fairly young one. With the exception of offensive lineman Jac’que Polite, who is now with the Buffalo Bills, most of the key players were sophomores and juniors (and in some cases, freshmen) last season. That includes the running back tandem of Te’Vaughn Hurse and Kerrion Moore, who rushed for nearly 2,000 yards in 2017. Of course there are other teams who have been consistently good over the past few years (Bowie State, North Carolina A&T, Southern) but Twitter only allowed us four poll options to ask which team will take the biggest dip in 2017. Answer in the poll or leave a comment below or in Facebook.